Alexis Bronson has tried all year to make his cannabis business legitimate under the state’s and Oakland’s marijuana laws. But after a dispiriting week, he might be ready to give up and go back to selling his clone plants and seeds on the thriving underground market. 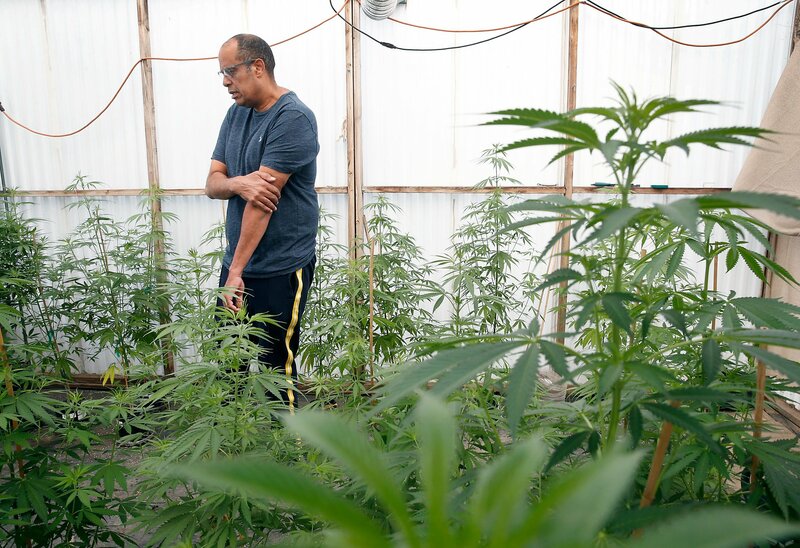 Bronson was one of about 250 people who applied for Oakland’s equity program, which reserved half of its cannabis permits for applicants like Bronson, a black man who’s about to enter his fourth decade of cultivating cannabis for a living. To qualify for the equity program, applicants had to be city residents earning less than 80 percent of the average city income. And they had to either live in a specified high-crime zone for at least 10 of the past 20 years or have been convicted of a cannabis crime in Oakland after Nov. 5, 1996. The equity program was established to give people impacted by the War on Drugs a leg up in the industry. Instead, Bronson says his business is being crippled. I’ve been following Bronson for nine months, because he has more history and experience in the cannabis industry than any other equity applicant I’ve met. He went from selling joints to his Berkeley High School classmates to, at the height of his business, selling about 4,500 clones per month out of an East Oakland warehouse, which earned him more than $30,000 a month.